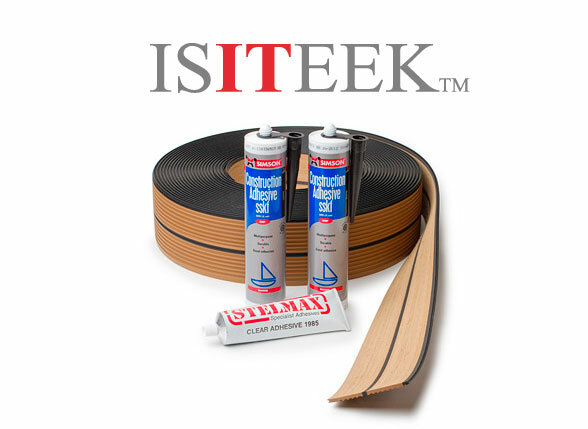 Do-it-yourself installations can be performed with our new Isiteek material. it is designed for the handyman among boat owners who wants to install smaller deck areas. The Isiteek material is available in 45 mm width, 60 mm margin and 125 mm king plank. It is available with black and white caulk lines. Step by step instructions for laying the Isiteek Decking System.